A portfolio of two healthcare properties located in the growing Phoenix metropolitan area Arizona Healthcare DST, also known as the Trust, is a newly formed Delaware statutory trust and an affiliate of Inland Private Capital Corporation (IPC). The Trust owns, or will acquire, two highly respected medical office facilities, each providing integrated healthcare services throughout the Phoenix metropolitan area. 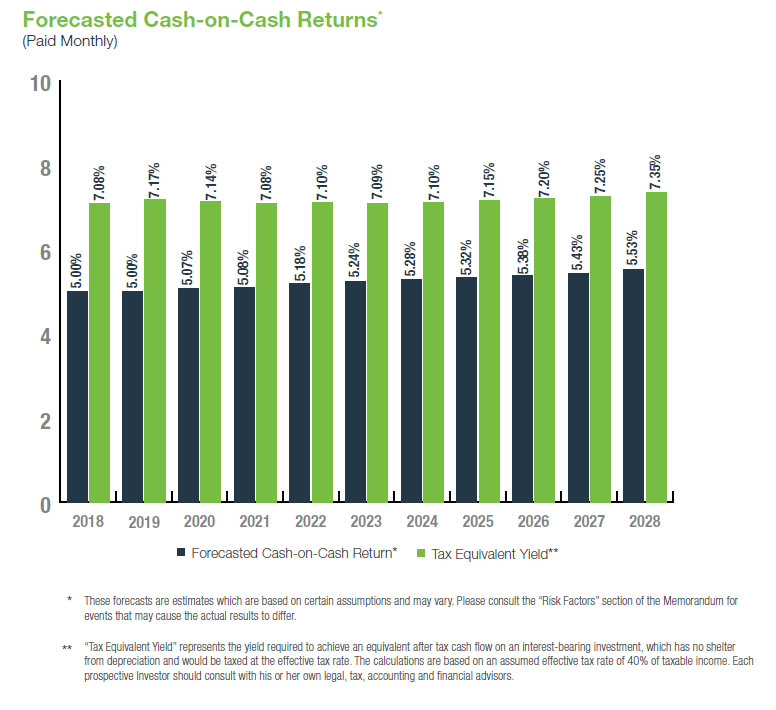 metropolitan area Arizona Healthcare DST, also known as the Trust, is a newly formed Delaware statutory trust and an affiliate of Inland Private Capital Corporation (IPC). The Peoria Property and the Phoenix Property are together referred to herein as the Properties, and each as a Property. The Trust is offering (the Offering) to sell to certain qualified, accredited investors 100 percent of the beneficial interests in the Trust. The Offering is designed for accredited investors seeking to participate in a tax-deferred exchange as well as those seeking a quality, multiple owner real estate investment. For more information, see “Summary of the Offering” and “The Offering” in the Memorandum. The Properties are being offered to investors without the encumbrance of permanent debt. The absence of permanent debt provides the Trust the flexibility to hold or sell the Properties, without any lender restrictions, and sell the Properties at a time which maximizes the value of the Properties. The Peoria Property is a recently constructed 24,363 square-foot, two-story medical office building located in Peoria, Arizona, with a mission to improve the well-being and health of its patients. 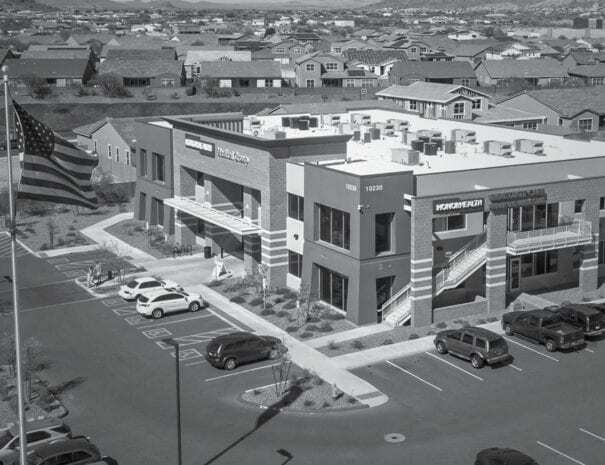 The Peoria Property is leased to Scottsdale Healthcare Hospitals d/b/a HonorHealth, an Arizona not-for-profit health organization offering an integrated health system.7 HonorHealth was formed in 2014 as a result of the merger of John C. Lincoln Health Network and Scottsdale Healthcare. By providing more than 70 primary, specialty and immediate care locations, HonorHealth demonstrates its commitment to wellness with nearly 150 years of combined experience in the greater Phoenix area. The network encompasses five hospitals, more than 3,400 physicians, 11,600 employees, and over 3,000 volunteers. The primary care provided by HonorHealth at the Peoria Property is family medicine, with a focus on sports medicine and the management of chronic diseases such as diabetes, asthma and COPD (Chronic Obstructive Pulmonary Disease). Additionally, an on-site phlebotomist administers blood drawings for various tests at the facility. 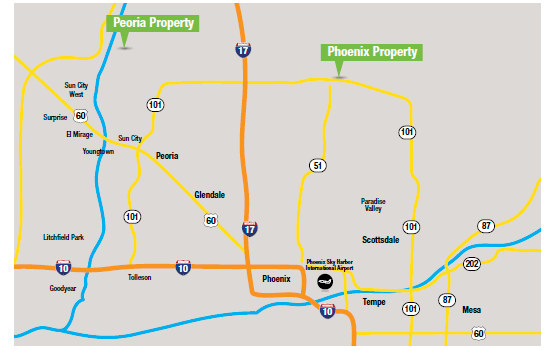 The Peoria Property is easily accessible via Loop 303 Freeway and has strong visibility off W. Happy Valley Road. 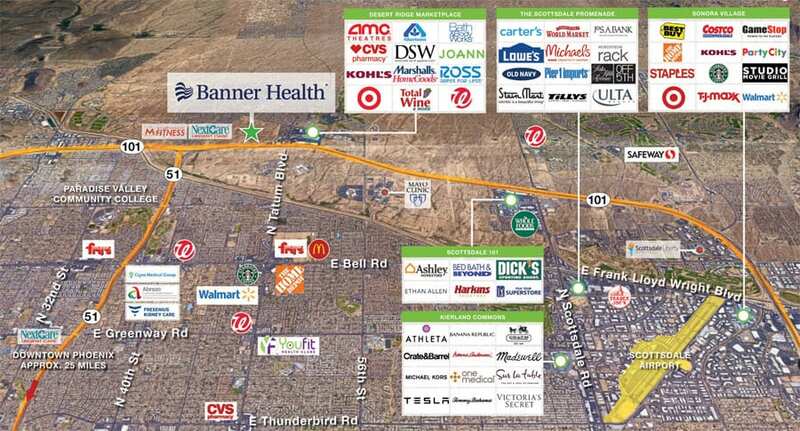 A major retail corridor is located a short distance away from the Peoria Property, and includes Sprouts Farmers Market, Target, Lowe’s and The Home Depot, among other retailers. A master-planned development, Vistancia, which is expected to consist of residential and leisurely style community offerings, is located behind the Peoria Property. The Phoenix Property, constructed in late 2017, is a 29,350 square-foot class A, single-story medical office building located in Phoenix, Arizona. The tenant at the Phoenix Property is Banner Medical Group, an Arizona not-for-profit corporation. 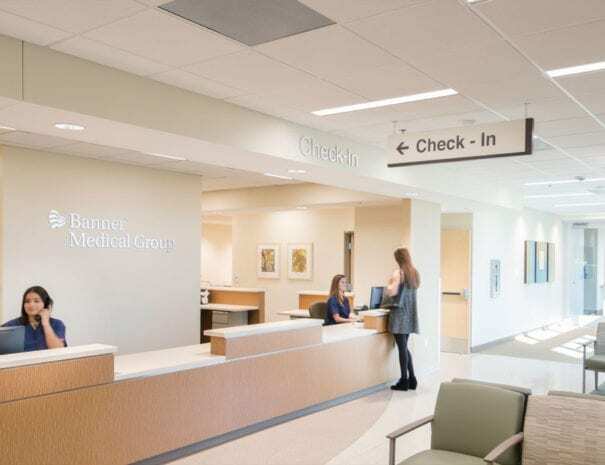 Banner Health, an Arizona not-for-profit corporation, has provided a guaranty of the tenant’s obligations under its Commercial Lease. Banner Health is the largest private employer in Arizona, employing over 50,000 people and offering 28 hospitals system-wide. Phoenix is Banner Health’s headquarters, but Banner Health also provides medical service to five other states – Nevada, California, Nebraska, Colorado and Wyoming. Banner Health operates hospitals, clinics, nursing homes, clinical laboratories, ambulatory surgical centers and home health agencies. Some featured services include pediatrics, orthopedics, maternity, Alzheimer’s and cancer. Banner Health has been nationally recognized for its commitment to excellent patient care and innovation. In 2016, Banner Health and Aetna Health Insurance Company created a jointly owned health insurance company offering employer-based insurance in Arizona. The joint venture, known as “Banner|Aetna,” features Banner Health’s network of doctors, health centers, clinics and hospitals, and also includes access to Honor Health’s network. 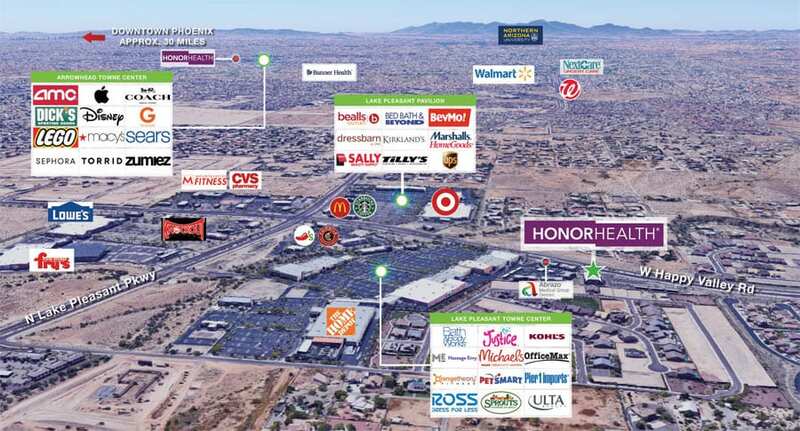 The Phoenix Property is highly visible from Loop 101 Freeway, has immediate access to State Route 51 Freeway and is located approximately 25 miles from downtown Phoenix. The Phoenix Property is situated in the Desert Ridge community. Desert Ridge, which spans approximately 5,700 acres in size, is the largest master-planned community in the Phoenix metro area and is anticipating approximately 50,000 residents at completion. A 500-acre Desert Ridge Technology Center, a specific region within the community, was designed to create new employment opportunities by attracting major companies.